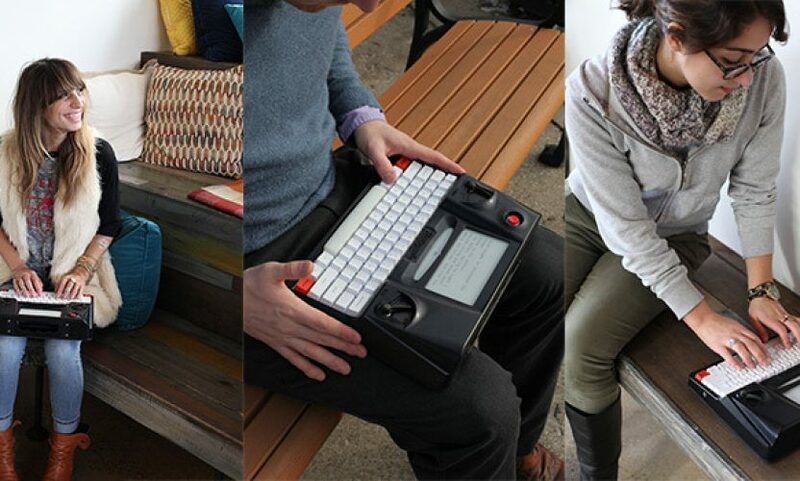 As a professional writer, the new Hemingwrite Kickstarter certainly caught my eye. Its tagline is “A Distraction Free Digital Typewriter,” which certainly has its appeal. I can speak from both my own personal and extended social experiences with fellow writers that the collective we often like to romanticize the concept of the “writing process.” The Hemingwrite is just the latest of countless attempts to cash in on what for many of us seems to be a primal need for that ideal writing environment, where the hoped-for end result is that the words simply flow out, mocking even the idea that there’s something out there called writer’s block. The same is of course true of those who don’t actively write, but want to. I know I’ve certainly seen and commented on my fair share of statements from hopeful individuals who want to write on an old computer like the original IBM PC (I too love tactile, clicky keyboards, with this being one of my more recent acquisitions) or even on a typewriter (or a converted typewriter), so they might somehow feel more connected to the written word. Of course, knowing a thing or two about how the modern publishing world operates and having experienced my fair share of typewriters and vintage word processing in my 42 years on this planet, I’m quick to point out that eventually you have to get your output onto a modern system, are introducing quite a few extra steps into an already labor intensive process, and are opening yourself up to multiple points of failure. In short, for all their foibles, modern computers and their related software environments are far more stable and easier to safeguard against disaster despite the fact that past greats like Hemingway, Murrow, or even Asimov never got to use them. That’s of course not to say that I haven’t personally fallen prey to the allure of the “perfect” writing environment. I have an impressive wake of hardware, software, and tools to prove that indeed I have. In general, experience usually does eventually show you the reality of what it really takes to get something done. With writing, it’s no different. You not only have to constantly write to get better, you also have to experiment to know what works best. Eventually you should reach the point where it doesn’t matter where you are or what you have to write with in spite of, not because of, whatever personal quirks happen to influence you at any given moment. The Hemingwrite in action, straight from the Kickstarter page. So, with the above in mind, while the Hemingwrite is not the cure for your potential writing woes, it does appear – if it delivers as promised of course – that it might prove a useful tool under the right circumstances, much like other “minimal” software and hardware. In my case, my portable workhorse is the delightful Surface Pro 3, but I must say, having a rugged, extreme battery life writing-specific device with modern wireless transfer capabilities might be a nice companion for those situations where an ultrabook-type computer is either not convenient or particularly necessary. I do think that a device like the Hemingwrite is probably not something you want to use for writing that requires any type of connected reference or research since you’d need a secondary device, like a smartphone, for that function, which would take away a lot of the point of ignoring the most distracting elements of modern technology in lieu of this. However, if what you wish to write requires little-to-no-research or can be researched and refined on something else at a later date (fiction might be the best example), it just might be a good way to knock out a quick draft. It’s also something I’d feel comfortable recommending to those hopeless romantics who fantasize about banging away on a typewriter, since your work is easy to get off it and into a modern, usable format on another platform. That’s not to say I don’t have some concerns about the Hemingwrite. 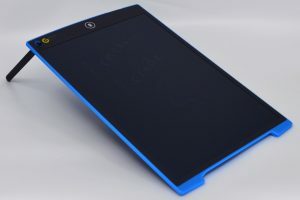 There’s no way to know how good the visibility of the screen will be at arm’s length, since this is more or less the same type of screen found on eReaders designed to all but be smooshed up against your face. I’m also lukewarm on the lack of a front-lit screen or back-lit keyboard keys. The former creates more versatile usage in poorly lit settings, and the latter seems to help my aging eyes stay less strained and fatigued in lower light settings. Of course, I do agree that feature creep can present quite a few issues, so even if the device were to end up simply as presently envisioned, I think I’m still OK with that. If you can find a use case for the Hemingwrite, I say go for it. If you think the Hemingwrite will help you get your writing going or help you to take it to another level, I’d strongly recommend thinking again. The only thing that will do that is actually writing, and doing as much of it you can as each day, refining your technique as you go. That shouldn’t require any further augmentation beyond the very device you’re reading my blog post with. As that tired corporate slogan states, JUST DO IT. 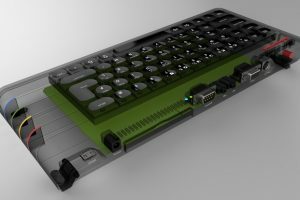 ZX Spectrum Next: An Updated ZX Spectrum Done Right? 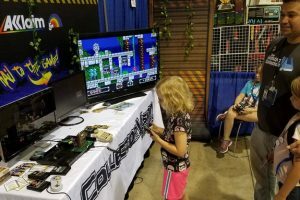 Modern ColecoVision Replacement, CollectorVision Phoenix, Now on Kickstarter! I guess, it can come in handy if your seriously into writing and or want a dedicated device. It does seem bulky for this day and age and looks like a cheap toy. So I’m mixed on this one. I suspect the industrial nature of the design has multiple functions. One I think is to be reminiscent of classic portable typewriters, and the other is a nod to durability. I believe they are taking the eBook reader analog literally, and this is the kind of thing you toss about moreso than you would a laptop or even a tablet. 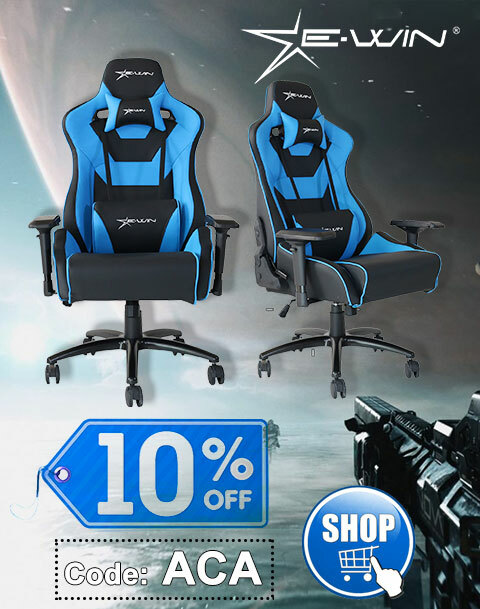 Of course, the price is a bit high for that function, but I think that’s at least the spirit. Hopefully it’s also easily repairable, particularly the mechanical keyboard. These points of failure are in the here-and-now. They can be corrected in realtime by publishing agencies and their software developers and you, if any issues arise. I only see a problem in working with unsupported antiquated devices IF the device’s faculties or eco-system breaks down. Again, there are more safeguards on modern devices than there are on vintage devices. Working from floppy disks, for instance, is a lot less safe than working from a modern SSD that syncs in real-time with something like a Dropbox and with software like Word that has built-in auto-recovery features. Of course it’s possible to use just about anything digital of any vintage (regardless of relative bugginess) and go through the trouble of converting it to modern formats, but it’s just that, trouble that doesn’t need to happen. Same thing with typing things out on paper on a typewriter. Besides the clumsy editing, you then have extra steps to scan the thing in and then OCR it, creating more work. Etc. Some people have this fantasy about working like their literary heroes, but more often than not, their literary heroes were simply products of their time using what was available to them. I suspect if most of them were in their prime’s today, they’d be using modern tools. At one point in the 90s, as part of my collecting, I was going after DOS-based laptops and setting them up with WordPerfect 5 for DOS, to have a lean and quick writing environment. I then started added more and more of the classic high battery life portables to my collection, like the Tandy 100, Tandy 102, Tandy 200, Epson HX-20, Epson PX-8, etc., and even many of the newer variations that removed things like BASIC, but still kept the word processing elements, e.g., Laser Compumate2. While as with all of my collection, I ended up rarely using these things. I then went whole hog with a NEC Mobile Pro 750C in the latter part of the 90s. Still, I was never satisfied. Despite being fascinated by the technology and enjoying the exercise, I rarely used the former stuff, and found modern day devices like the NEC Mobile Pro 750C – despite the relative promise – still limiting and frustrating, with too many quirks ultimately to make for the type of use I wanted. Still, the biggest problem I found with most modern devices was battery life. 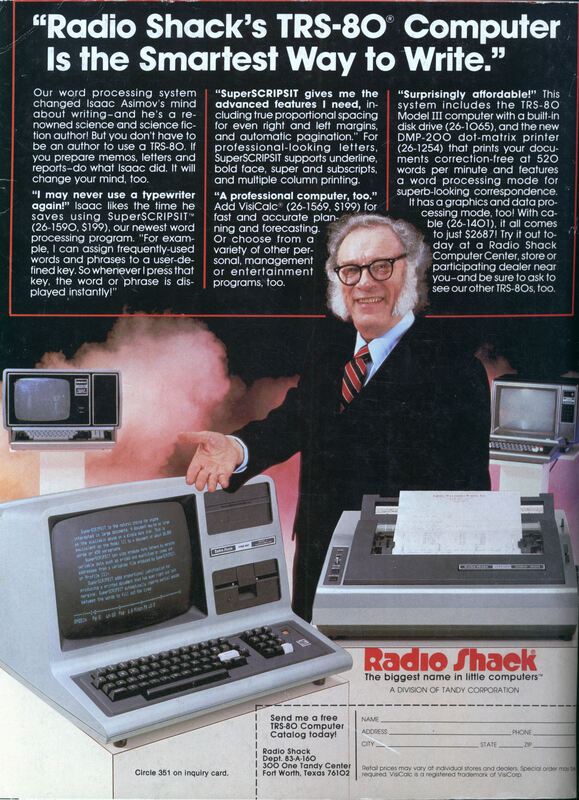 They simply didn’t hold up to the long-lived 80s devices like the Tandy 100. In short, I felt there still was a place, surprisingly, for devices like that. Nevertheless, time marches on, and I do think that we eventually reached that tipping point where we can match the best features of those devices and still enjoy all the modern comforts of today. That was of course when devices like the iPad 2 came into being, and shortly thereafter powerful ultrabook-type devices with genuine 6 hour+ battery life. An iPad 2 paired with a decent keyboard/keyboard cover and the word processing software of your choosing (be it full featured or minimalist/distraction-free) easily matched what the classic systems offered. A good ultrabook went one step beyond that. Once Microsoft’s Surface Pro series came out, I found that I could have almost the best of both tablets and ultrabooks in one device. My first such device was the Surface Pro 2, which I replaced with the Surface Pro 3 when that came out. That’s now my go-to portable device, and, ignoring the price point for a moment, it does everything I’ve hoped for in a portable writing/computing/reading/pen-based/whatever device (not to say there’s not room for improvement, but again, that threshold has been crossed). In short, with the choice of a good tablet paired with a type of keyboard (and in fact, I’d argue that I find the onscreen keyboards perfectly usable for touch typing on 10″ devices), or an ultrabook or ultrabook hybrid, I no longer see the need to use these legacy devices. Since these batteries last a whole day of normal use, it’s really not a big deal to charge daily, particularly since you get so many other advantages and conveniences (and don’t need workarounds to interface/transfer to/work with modern stuff). Naturally, these devices will only continue to get better. So, while I think from 1983 to at least the early 2000s a genuine case could be made for using something like a Tandy 100-class device on a regular basis, I think that time has passed. Now obviously the above is just my opinion, and if someone is comfortable using what they’re using, so be it, who am I to judge? But as was mentioned in the earlier comment, when the lengths to get something working are extraordinary (here: http://sfwriter.com/ws-vdos.htm), and there are no longer any obvious advantages other than “I don’t want to bother using the new stuff,” I just don’t see the point. To tie this back, if someone genuinely does like the Tandy 100-class type devices, then, again, ignoring the price point for a moment, I see the Hemingwrite as a viable alternative with its modern connectivity options and other modern-day conveniences.